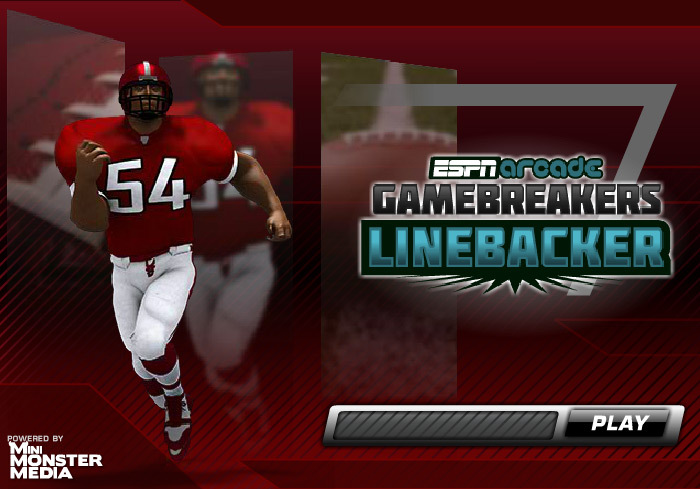 Be the Lineback football star you’ve always wanted to be! 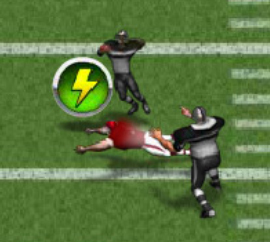 Test your football playing skills and live out your dreams in this addicting game! 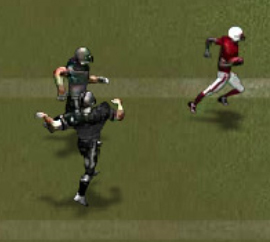 You have a very simple task: run past the blockers in order to tackle the running back before he makes his way into the end zone. Pretty easy, right? 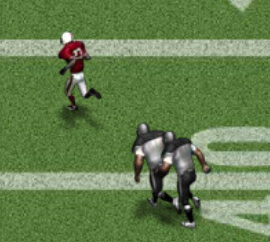 Well, while you’re avoiding the blockers, you also need to dodge other obstacles on the field, all while tackling the running back to prevent him from making a touchdown. If you fail, you lose a defensive stand. When you lose 4 defensive stands, you lose the game. 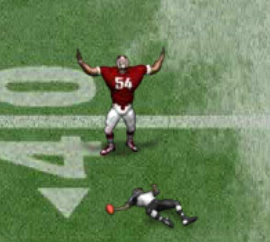 The player controls in Linebacker are pretty basic. 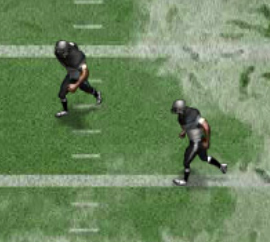 Your default directional keys are I, J, K, and L to direct your linebacker to run forward, backward, left or right. 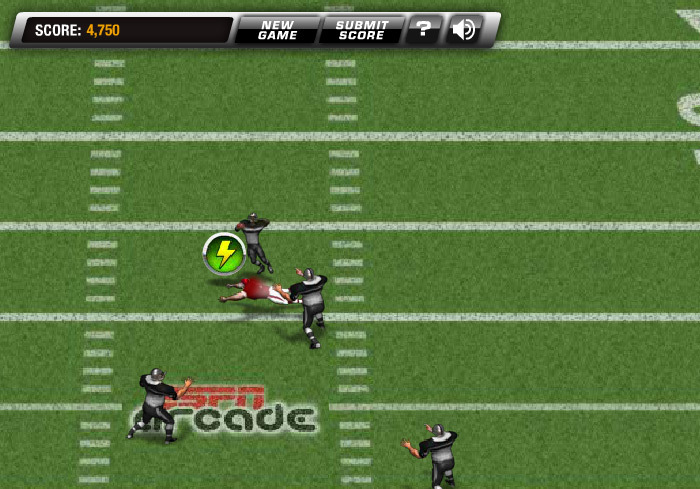 Using the spacebar during gameplay will make your character dive tackle the running back, winning the game for you. In addition to these function keys, you can also press the M button in order to quickly mute the in-game sound effects. On the scoring screen between levels, you can also press the spacebar to continue the game, or you may opt to use your mouse to click the continue button. The game features three special moves that you can unlock at various levels of the game: Swim, Shuck, and Bull Rush. Using these special moves will help you advance further in the game, ultimately beating the game with a very high score! 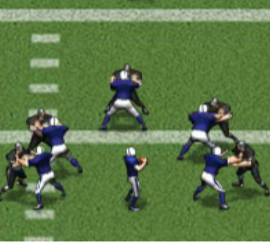 Linebacker is filled with multiple stages. Within each stage there are multiple levels for you to complete. 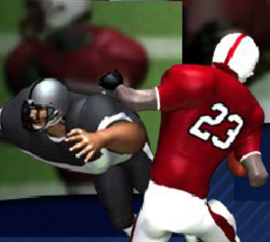 As you complete each level, you will unlock the next stage as well as periodically unlock some special moves for your linebacker to use in order to help him successfully take down the running back! If you’ve never played a game like this before, you may be having a hard time learning how to play. Check out some of these tips to help you achieve high scores! At the start of each level, you will see a yellow arrow. Keep an eye on where this arrow is located! 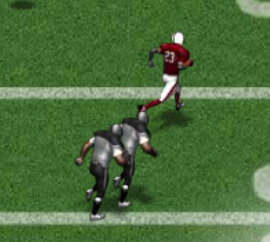 This is an indication of the direction the running back is running down the field. 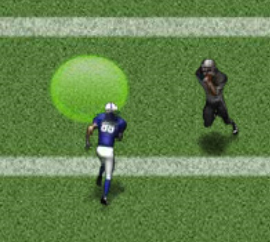 Try to run toward that yellow arrow while avoiding the blockers and other obstacles in your way. 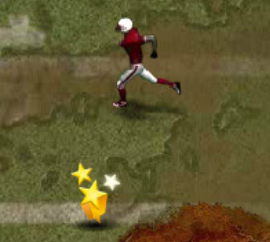 As you run down the field, you will see various power-ups scattered on the ground. Try to grab these power ups to help you advance through the game. An example of a power-up you may see is an icon that looks like a lightning bolt. This item will give you a brief speed boost that can help you run past a gang of blockers and straight for the running back! Don’t be afraid to use your special moves! That’s what they’re there for, after all!